Remodeled home in Southeast Lawrence! Updates include kitchen, bathrooms, concrete siding, new windows, new paint inside and out. Nice new flooring throughout. Main level has living room, kitchen & dining area. Upstairs has master suite w/ private bathroom, 2 more bedrooms, bath & laundry. Large two car garage. Enjoy the back yard w/ fence, patio, & fire pit. Haskell South to 27th Street. Go East to Harper. Lawrence is located in Kansas. Lawrence, Kansas 66046 has a population of 93,917. The median household income in Lawrence, Kansas 66046 is $46,929. The median household income for the surrounding county is $50,732 compared to the national median of $53,482. The median age of people living in Lawrence 66046 is 26.8 years. 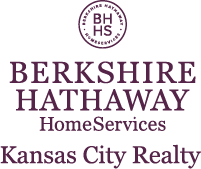 I am interested in 2613 Harper Street, Lawrence, KS 66046.